First introduced in 2004, the BMW 1 Series is a family of small luxury cars. The first generation boasted a classic design that was instantly recognisable. Now, with its more visually appealing MK2 body, a used BMW 1 Series is a serious contender for second-hand car buyers. It was the first proper hatchback for BMW, so if you're looking for a premium vehicle at an affordable price, this option is a safe bet. You receive a lot for your money when you purchase a used BMW 1 Series. This is a car with superb build quality, lovely finishes and your typical BMW dashboard. The main USP of the 1 Series is its rear-wheel-drive functionality. Though this doesn’t sound like much, it makes a world of difference to the driving experience. If you want fun out of your hatchback, the used BMW 1 Series is the right option. It’s a BMW, so it’s well built and sturdy. Chances are, you’ll have worry-free motoring with the 1 Series, though basic checks of all the usual elements are needed. Driving a used BMW 1 Series is a great experience, mainly thanks to its rear-wheel-drive setup. It’s lively, fun and well balanced. As a result, there’s no other used hatchback on the market that feels like the 1 Series. A used BMW 1 Series ES is incredibly agile, comfortable and it has a stylish trim to match its high-quality driving standards. The driving position of a used BMW 1 Series is excellent, and the steering feels light but with lots of feedback. There’s very little understeer too! 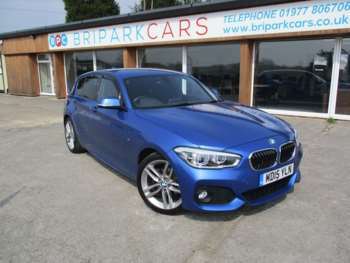 If you're looking for a powerful used car, we have several second-hand BMW 1 Series for sale. Choose the 1.6-litre engine or higher to really feel the difference. Cost-effective options are available too, as a car from the BMW 1 Series Efficient Dynamics range provides you with total driving pleasure and extreme diesel efficiency. 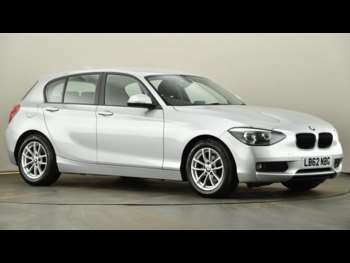 Got a specific BMW 1 Series model in mind?